With Halloween next week, you know the rest of the holiday season will be here in a flash! I swear every year from Halloween is a blur. 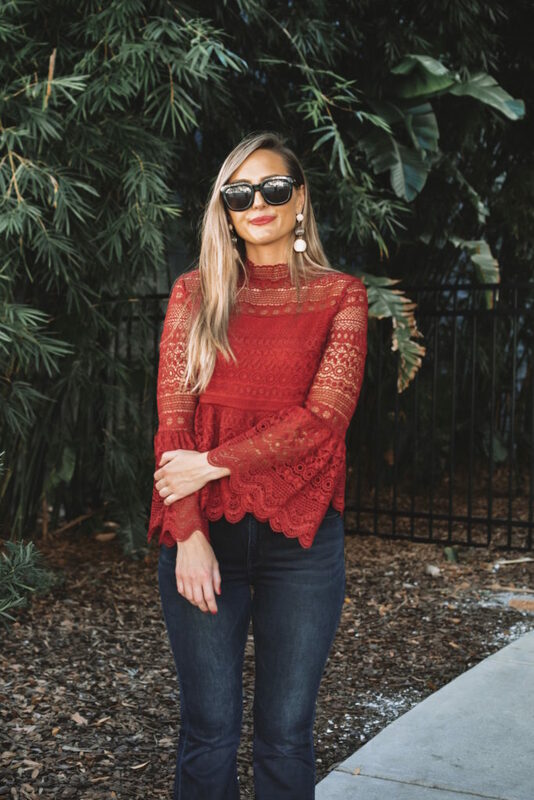 There are so many events, parties, and gatherings to go to during the holiday season, it’s nice to have some go-to pieces that will carry your holiday style through the busiest time of the year! 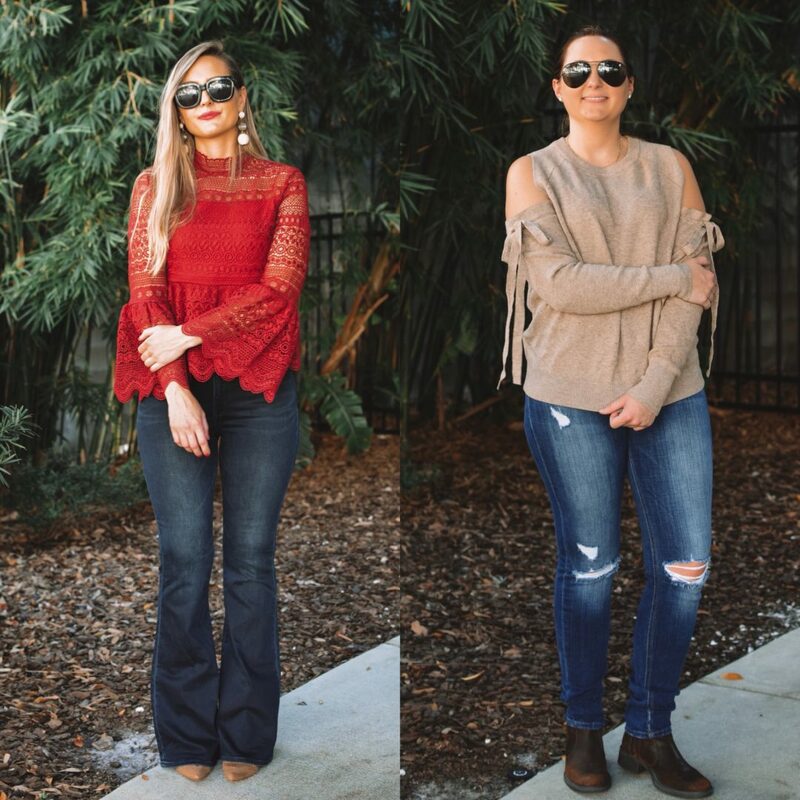 Today we’re sharing two tops that can take you through all of you holiday parties and events! 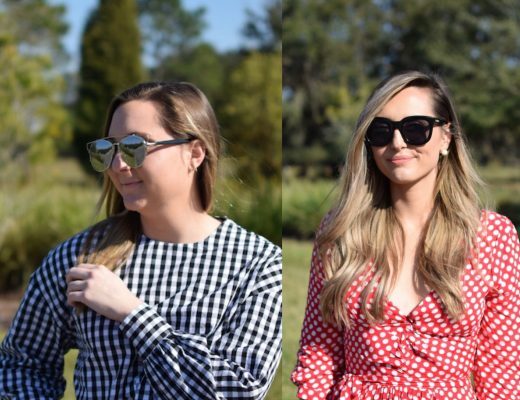 They can be styled in so many different ways, you won’t need to buy a ton of new pieces. Now this color just screams holiday! 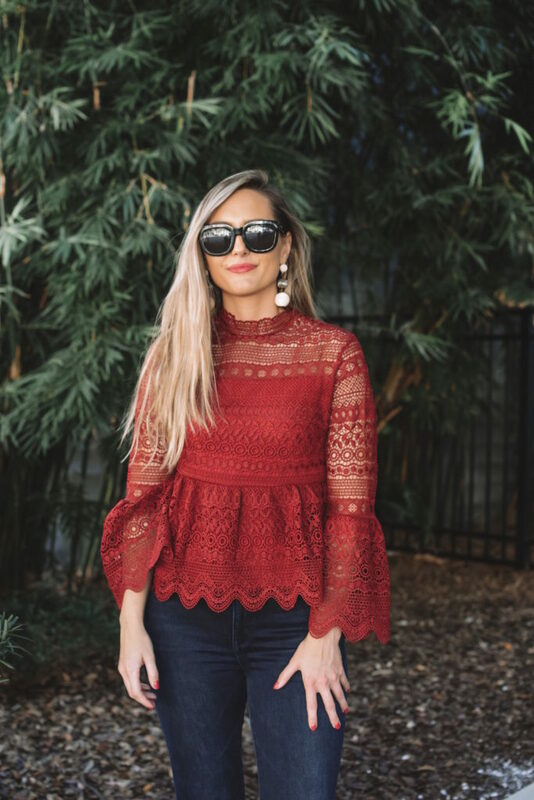 It is such a beautiful color and the crochet details on this top are so stunning. Now I don’t know about you but I am all about that holiday food & drink! A peplum top can save you during those big dinners and parties because they are never restrictive, but are still super flattering. I love the pretty bell sleeves! 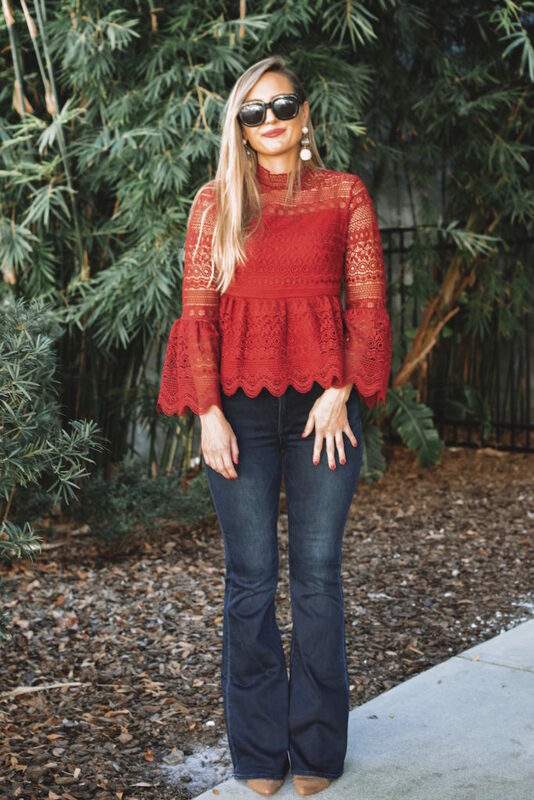 Here I styled it more casually with a pair of flare jeans and cognac ankle boots, but I’m sharing two other ways to style it for the holidays. 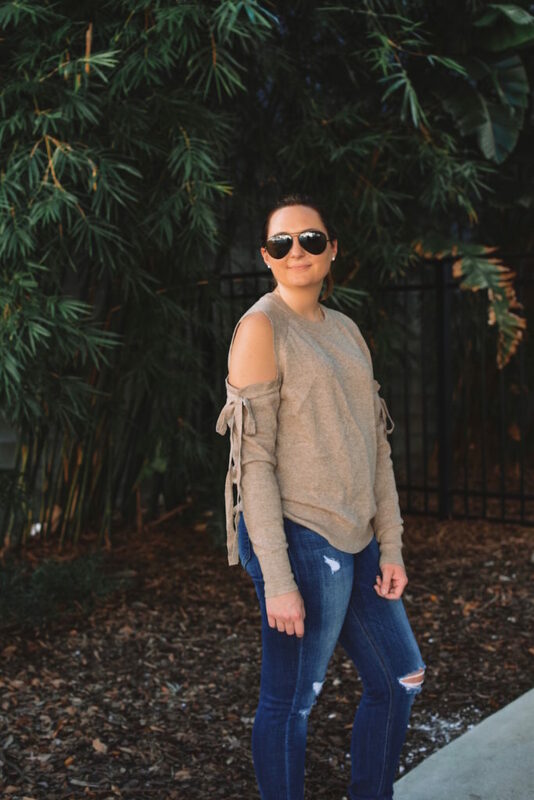 How cute and cozy is this sweater?! I love the neutral taupe shade and the pretty bow details give it alll the holiday feels. 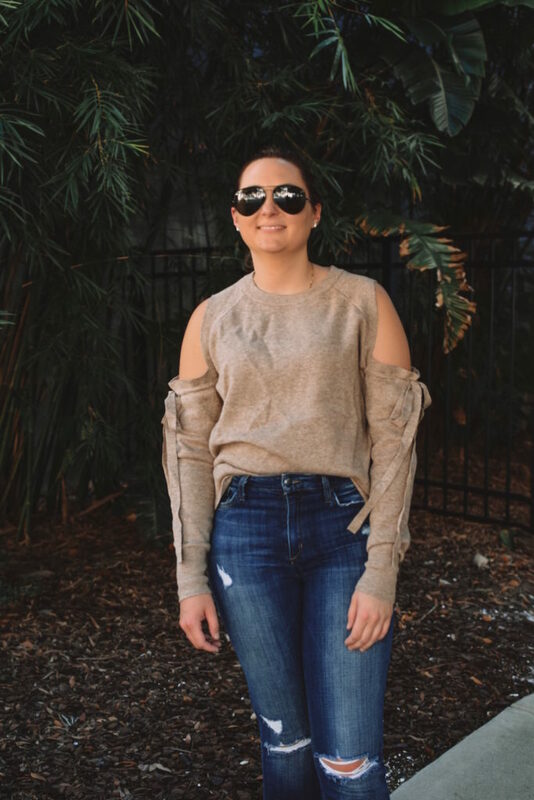 It is such a thick and warm sweater so perfect for those of you who live in a colder climate. You get all the coziness with the cute cutout details at the shoulders. 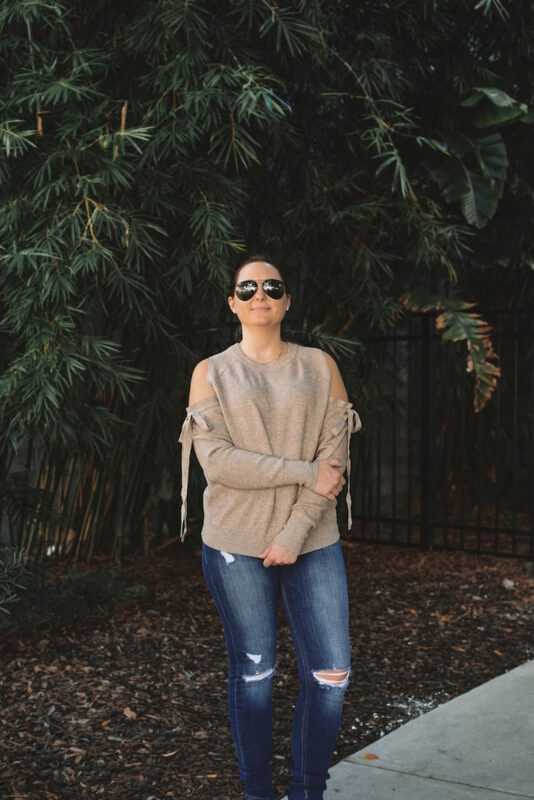 Tee styled it more casually with a pair of dark denim and ankle boots, but it will seriously be such a versatile piece in your closet! 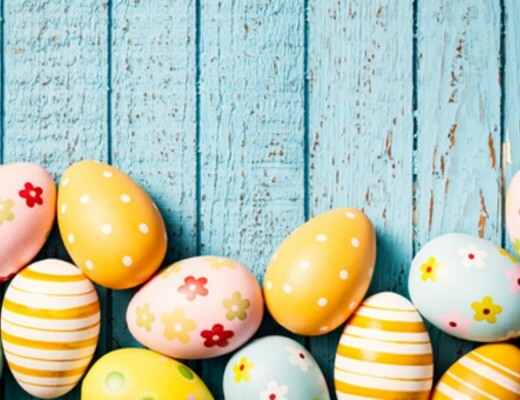 We’d love to hear your plans for the upcoming holidays and which look was your favorite!